Martin Lipton, associé fondateur de la firme Wachtell, Lipton, Rosen & Katz, spécialisée dans les cas de fusions et acquisitions ainsi que dans les politiques de gouvernance et les stratégies des entreprises publiques, fait le point sur les rôles et responsabilités des conseils d’administration contemporains. Les défis posés aux administrateurs sont de plus en plus complexes et, pour l’auteur, il est important de revenir sur les pratiques exemplaires en matière de gouvernance afin d’actualiser ce qui est attendu, aujourd’hui, des conseils d’administration des entreprises publiques. Il s’agit ici d’une description relativement exhaustive des attentes que les investisseurs institutionnels, les experts de la gouvernance et les firmes conseil en votation, ont à l’égard des CA. Voici un extrait de la conclusion ainsi qu’un sommaire des attentes. (5) to maintain a truly collegial relationship among and between the company’s senior executives and the members of the board that enhances the board’s role both as strategic partner and as monitor. The ever evolving challenges facing corporate boards, and especially this year the statements by BlackRock, State Street and Vanguard of what they expect from boards, prompts an updated snapshot of what is expected from the board of directors of a major public company—not just the legal rules, but also the aspirational “best practices” that have come to have almost as much influence on board and company behavior. Establish the appropriate “Tone at the Top” to actively cultivate a corporate culture that gives high priority to ethical standards, principles of fair dealing, professionalism, integrity, full compliance with legal requirements and ethically sound strategic goals. Choose the CEO, monitor his or her performance and have a succession plan in case the CEO becomes unavailable or fails to meet performance expectations. Maintain a close relationship with the CEO and work with management to encourage entrepreneurship, appropriate risk taking, and investment to promote the long-term success of the company (despite the constant pressures for short-term performance) and to navigate the dramatic changes in domestic and world-wide economic, social and political conditions. Approve the company’s annual operating plan and long-term strategy, monitor performance and provide advice to management as a strategic partner. Develop an understanding of shareholder perspectives on the company and foster long-term relationships with shareholders, as well as deal with the requests of shareholders for meetings to discuss governance, the business portfolio, and operating strategy, and for greater transparency into the board’s practices and priorities. Evaluate the demands of corporate governance activists, make changes that the board believes will improve governance and resist changes that the board believes will not be constructive. Work with management and advisors to review the company’s business and strategy, with a view toward minimizing vulnerability to attacks by activist hedge funds. Organize the business, and maintain the collegiality, of the board and its committees so that each of the increasingly time-consuming matters that the board and board committees are expected to oversee receive the appropriate attention of the directors. Plan for and deal with crises, especially crises where the tenure of the CEO is in question, where there has been a major disaster or a risk management crisis, or where hard-earned reputation is threatened by a product failure or a socio-political issue. Many crises are handled less than optimally because management and the board have not been proactive in planning to deal with crises, and because the board cedes control to outside counsel and consultants. Determine executive compensation to achieve the delicate balance of enabling the company to recruit, retain and incentivize the most talented executives, while also avoiding media and populist criticism of “excessive” compensation and taking into account the implications of the “say-on-pay” vote. Face the challenge of recruiting and retaining highly qualified directors who are willing to shoulder the escalating work load and time commitment required for board service, while at the same time facing pressure from shareholders and governance advocates to embrace “board refreshment”, including issues of age, length of service, independence, expertise, gender and diversity. Provide compensation for directors that fairly reflects the significantly increased time and energy that they must now spend in serving as board and board committee members. 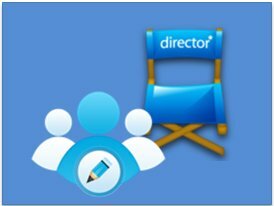 Evaluate, or arrange for the evaluation of, the board’s performance and the performance of the board committees and each director. Determine the company’s reasonable risk appetite (financial, safety, cyber, political, reputation, etc. ), oversee the implementation by management of state-of-the-art standards for managing risk, monitor the management of those risks within the parameters of the company’s risk appetite and seek to ensure that necessary steps are taken to foster a culture of risk-aware and risk-adjusted decision-making throughout the organization. Take center stage whenever there is a proposed transaction that creates a real or perceived conflict between the interests of stockholders and those of management, including takeovers and attacks by activist hedge funds focused on the CEO. Recognize that shareholder litigation against the company and its directors is part of modern corporate life and should not deter the board from approving a significant acquisition or other material transaction, or rejecting a merger proposal or a hostile takeover bid, all of which is within the business judgment of the board. Set high standards of social responsibility for the company, including human rights, and monitor performance and compliance with those standards. Oversee relations with government, community and other constituents. Review corporate governance guidelines and committee charters and tailor them to promote effective board functioning. *Martin Lipton is a founding partner of Wachtell, Lipton, Rosen & Katz, specializing in mergers and acquisitions and matters affecting corporate policy and strategy. This post is based on a Wachtell Lipton memorandum by Mr. Lipton and Sabastian V. Niles. Mr. Niles is counsel at Wachtell Lipton specializing in rapid response shareholder activism and preparedness, takeover defense, corporate governance, and M&A. « Est-ce le temps de créer un conseil consultatif ?